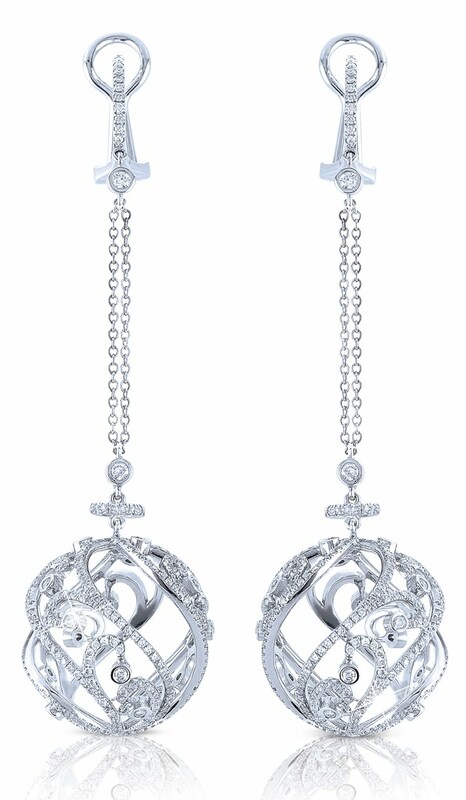 These earrings from Vanna K are high fashion diamond earrings that dangle. The beautiful, unique platinum ball pattern dropping from the ears is eye catching. Add on the sparkly pattern of nearly 1 Carat round micro-pave diamonds and they become simply stunning. 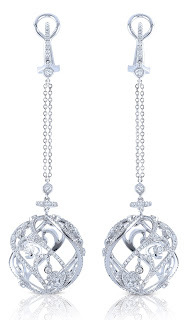 With Christmas just a few months away, you can find beautiful gifts like these earrings at Vanna K jewelers.